Looking for Grand Bahama Island Weddings, consider an up close and personal experience, surrounded by breathtaking views of the water, and a stunning landscape all found within the beautiful destination of Grand Bahamas – look no further than Pelican Bay at Lucaya Hotel. Given the unique Caribbean architecture and colorful village-like buildings with verandas, Pelican Bay is “the” go-to destination for honeymoons and weddings away. 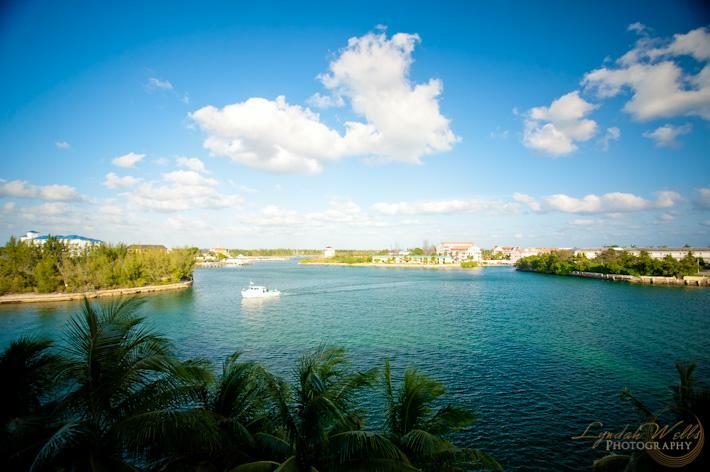 It is the only hotel offering a ferry boat ride to a private secluded beach and after being recognized and awarded by the Bahamas Ministry of Tourism as one of the “Small Treasures of the Bahamas,” it is one of the best locations to get married with a guest list of up to 100 people. All the details of your wedding can be planned for you. Only one wedding per day is allowed here, so you will truly have the resort’ wedding space all to yourself. Pelican Bay is so close to everything … over 30 restaurants and bars are within walking distance, beach and casino right across the street. Everything a couple and guests would want just steps from the property. From a full service spa to the ferry that can take travelers to the private beach or other parts of the island for snorkeling, scuba or sun bathing. 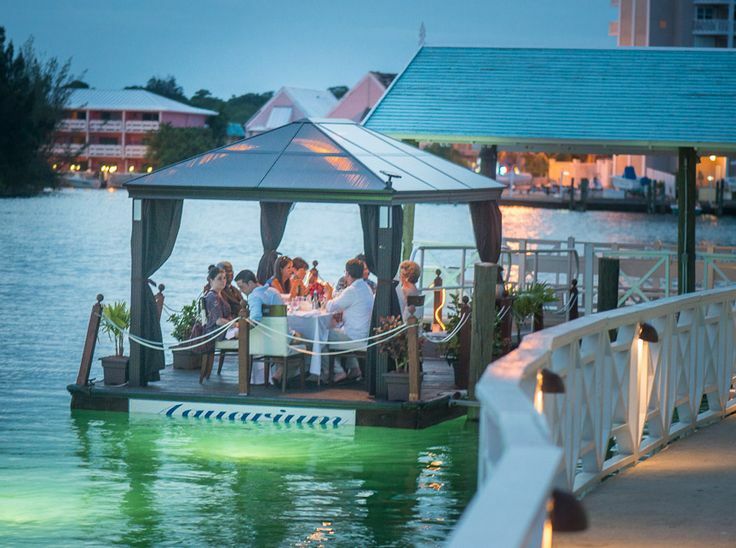 Your Bahamas wedding planner can arrange excursions around the island. As far as the guest rooms and accommodations, every room has a water view, comes complete with a breakfast and is quite affordable with rates starting at $129 in the off-season and $199 in high-season. Just want to check it out to see if it’s right for you? If you book your wedding with them after your scouting trip, they’ll credit back the cost of up to two rooms (plus tax) to your final wedding bill! To enter the property, guests must pass through a very unique stunning lush garden to their wedding paradise. the Canal House that offers an indoor option for couples. Plus, it gives us the opportunity to offer other experiences for brides and a solid ‘Plan B’ if necessary. The hotel is also child-friendly and offers some really amazing experiences for families. Horseback riding and the stand-out Dolphin Sanctuary, can be coordinated with the hotel’s staff as a possible group outing before or after the wedding event. With the flexibility, beauty and location, Pelican Bay at Lucaya should be one of the first on your list of places to check out. Contact Chic Bahamas Weddings to day to get planning started.